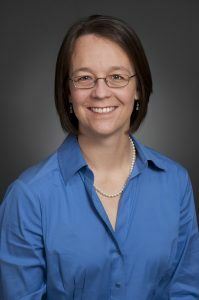 Ellen M. Rathje is the Warren S. Bellows Centennial Professor in the Department of Civil, Architectural, and Environmental Engineering and also a Senior Research Scientist at the Bureau of Economic Geology at the University of Texas at Austin. Her research interests include seismic site response analysis, earthquake-induced landslides, field reconnaissance after earthquakes, and remote sensing of geotechnical phenomena. She is a founding member of and current co-chair of the Geotechnical Extreme Event Reconnaissance Association (GEER) which coordinates National Science Foundation-sponsored geotechnical investigations around the world after major earthquakes and other natural disasters such as floods, to advance research and improve engineering practice. Rathje is also the Principal Investigator of the DesignSafe cyberinfrastructure project, a web-based research platform for the National Hazards Engineering Research Infrastructure (NHERI) that provides computational tools to manage and analyze critical data for natural hazards research. Closer to home, Rathje is co-principal investigator for the Center for Integrated Seismicity Research and the TexNet Seismic Monitoring Program, both housed at the Bureau of Economic Geology at UT. The William B. Joyner Lecture is jointly awarded by EERI and SSA to those who have provided outstanding earth science contributions to the theory and practice of earthquake engineering or outstanding earthquake engineering contributions to the direction and focus of earth science research—together with demonstrated skills of communication at the interface of earthquake science and earthquake engineering.